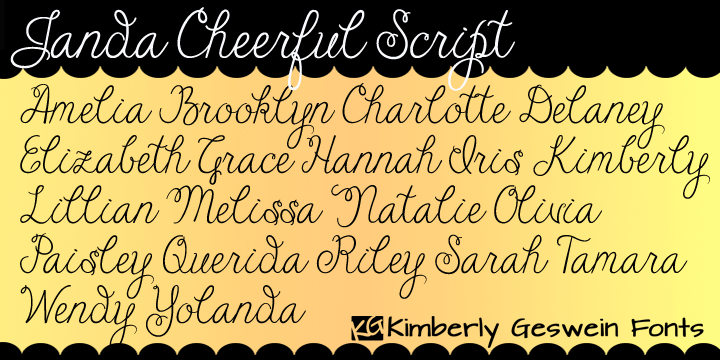 Janda Cheerful Script is a typeface created and published by Kimberly Geswein. It is a handwriting perfect for happy ocassions, is optimistic, natural and friendly. A font description published on Friday, November 2nd, 2012 in Fonts, Kimberly Geswein by Alexandra that has 3,155 views.